During the second half of the 1930s, the Rockefeller Foundation underwrote much of the most innovative communication research then under way in the United States. There was virtually no federal support for the social sciences at the time, and corporate backing for the field usually remained limited to proprietary marketing studies. The foundation’s administrators believed, however, that mass media constituted a uniquely powerful force in modem society, reports Brett Gary, 28 and financed a new project on content analysis for Harold Lasswell at the Library of Congress, Hadley Cantril’s Public Opinion Research Project at Princeton University, the establishment of Public Opinion Quarterly at Princeton, Douglas Waples’ newspaper and reading studies at the University of Chicago, Paul Lazarsfeld’s Office of Radio Research at Columbia University, and other important programs. Harold Lasswell, who had the ear of foundation administrator John Marshall at these gatherings, over the next two years won support for a theory that seemed to resolve the conflict between the democratic values that are said to guide U.S. society, on the one hand, and the manipulation and deceit that often lay at the heart of projects intended to engineer mass consent, on the other. Briefly, the elite of U.S. society (“those who have money to support research,” as Lasswell bluntly put it) should systematically manipulate mass sentiment in order to preserve democracy from threats posed by authoritarian societies such as Nazi Germany or the Soviet Union. One Rockefeller seminar participant, Donald Slesinger (former dean of the social science at the University of Chicago), blasted Lasswell’s claims as using a democratic guise to tacitly accept the objectives and methods of a new form of authoritarianism. “We [the Rockefeller seminar] have been willing, without thought, to sacrifice both truth and human individuality in order to bring about given mass responses to war stimuli,” Slesinger contended. “We have thought in terms of fighting dictatorships- by-force through the establishment of dictatorship-by-manipulation. 30 Slesinger’s view enjoyed some support from other participants and from Rockefeller Foundation officers such as Joseph Willits, who criticized what he described as authoritarian or even fascist aspects of Lasswell’s arguments. Despite this resistance, the social polarization created by the approaching war strongly favored Lasswell, and in the end he enjoyed substantial new funding and an expanded staff courtesy of the foundation. Slesinger, on the other hand, drifted away from the Rockefeller seminars and appears to have rapidly lost influence within the community of academic communication specialists. World War II spurred the emergence of psychological warfare as a particularly promising new form of applied communication research. The personal, social, and scientific networks established in U.S. social sciences during World War II, particularly among communication researchers and social psychologists, later played a central role in the evolution (or “social construction”) of U.S. sociology after the war. A detailed discussion of U.S. psychological operations during World War 11 is of course outside the scope of this book. There is a large literature on the subject, which is discussed briefly in the Bibliographic Essay at the end of this text. A few points are worth mentioning, however, to introduce some of the personalities and concepts that would later play a prominent role in psychological operations and communication studies after 1945. 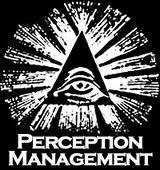 There were six main U.S. centers of psychological warfare and related studies during the conflict. Several of these centers went through name changes and reorganizations in the course of the war, but they can be summarized as follows: (1) Samuel Stouffer’s Research Branch of the U.S. Army’s Division of Morale; (2) the Office of War Information (OWI) led by Elmer Davis and its surveys division under Elmo Wilson; (3) the Psychological Warfare Division (PWD) of the U.S. Army, commanded by Brigadier General Robert McClure; (4) the Office of Strategic Services (OSS) led by William Donovan; (5) Rensis Likert’s Division of Program Surveys at the Department of Agriculture, which provided field research personnel in the United States for the army, OWI, Treasury Department, and other government agencies; and (6) Harold Lasswell’s War Communication Division at the Library of Congress. It is wise to be cautious in evaluating the political significance of these networks, of course. Obviously Herbert Marcuse drew quite different political conclusions from his experience than did, say, Harold Lasswell, and it is well known that even some of the once closely knit staff of the Institut fur Sozialforschung who emigrated to the United States eventually clashed bitterly over political issues during the cold war. 55 Nevertheless, the common experience of wartime psychological warfare work became one step in a process through which various leaders in the social sciences engaged one another in tacit alliances to promote their particular interpretations of society. Their wartime experiences contributed substantially to the construction of a remarkably tight circle of men and women who shared several important conceptions about mass communication research. They regarded mass communication as a tool for social management and as a weapon in social conflict, and they expressed common assumptions concerning the usefulness of quantitative research-particularly experimental and quasi- experimental effects research, opinion surveys, and quantitative content analysisas a means of illuminating what communication “is” and improving its application to social management. They also demonstrated common attitudes toward at least some of the ethical questions intrinsic to performing applied social research on behalf of a government. The Clausen study strongly suggests that at Stouffer’s Research Branch, at least, World War II psychological warfare work established social networks that opened doors to crucial postwar contacts inside the government, funding agencies, and professional circles. Barrett’s comments concerning the Psychological Warfare Division suggest a similar pattern there. As will be discussed in more depth in the next chapter, the various studies prepared by these scientists during the war — always at government expense and frequently involving unprecedented access to human research subjects — also created vast new data bases of social information that would become the raw material from which a number of influential postwar social science careers would be built. The first is the work of Albert Hadley Cantril (better known as Hadley Cantril), a noted “founding father” of modem mass communication studies. Cantril was associate director of the famous Princeton Radio Project from 1937 to 1939, a founder and longtime director of Princeton’s Office of Public Opinion Research, and a founder of the Princeton Listening Center, which eventually evolved into the CIA-financed Foreign Broadcast Information Service. Cantril’s work at Princeton is widely recognized as “the first time that academic social science took survey research seriously, and it was the first attempt to collect and collate systematically survey findings.” 70 Cantril’s The Psychology of Radio, written with Gordon Allport, is often cited as a seminal study in mass communication theory and research, and his surveys of public opinion in European and Third World countries defined the subfield of international public opinion studies for more than two decades. Cantril’s work during the first decade after World War II focused on elaborating Lippmann’s concept of the stereotypethe “pictures in our heads,” as Lippmann put it, through which people are said to deal with the world outside their immediate experience. Cantril specialized in international surveys intended to determine how factors such as class, nationalism, and ethnicity affected the stereotypes present in a given population, and how those stereotypes in turn affected national behavior in various countries, particularly toward the United States. 71 Cantril’s work, while often revealing the “human face” of disaffected groups, began with the premise that the United States’ goals and actions abroad were fundamentally good for the world at large. If U.S. acts were not viewed in that light by foreign audiences, the problem was that they had misunderstood our good intentions, not that Western behavior might be fundamentally flawed. CENIS emerged as one of me most important centers of communication studies midway through the 1950s, and it maintained that role for the remainder of the decade. According to CENIS’s official account, the funding for its communications research was provided by a four- year, $850,000 grant from the Ford Foundation, which was distributed under the guidance of an appointed planning committee made up of Hans Speier (chair), Jerome Bruner, Wallace Carroll, Harold Lasswell, Paul Lazarsfeld, Edward Shils, and Ithiel de Sola Pool (secretary). 83 It is not known whether Ford’s funds were in fact CIA monies. The Ford Foundation’s archives make clear, however, that the foundation was at that time underwriting the costs of the CIA’s principal propaganda project aimed at intellectuals, the Congress for Cultural Freedom, with a grant of $500,000 made at CIA request, and that the Ford Foundation’s director, John McCloy (who will be remembered here for his World War II psychological warfare work), had established a regular liaison with the CIA for the specific purpose of managing Ford Foundation cover for CIA projects. 84 Of the men on CENIS’s communication studies planning committee, Edward Shils was simultaneously a leading spokesman for the CIA-backed Congress for Cultural Freedom Project; Hans Speier was the RAND Corporation’s director of social science research; and Wallace Carroll was a journalist specializing in national security issues who had produced a series of classified reports on clandestine warfare against the Soviet Union for U.S. military intelligence agencies. 85 In short, CENIS communication studies were from their inception closely bound up with both overt and covert aspects of U.S. national security strategy of the day. In The Passing of Traditional Society and other texts, Lerner contended that public “‘participation’ [in power] through opinion is spreading before genuine political and economic participation” in societies in developing countries 93 — a clear echo of Lippmann’s earlier thesis. This created a substantial mass of people who were relatively informed through the mass media, yet who were socially and economically disenfranchised, and thus easily swayed by the appeals of radical nationalists, Communists, and other “extremists.” As in Lippmann’s analysis, mass communication played an important role in the creation of this explosive situation, as Lerner saw it, and in elite management of it. He proposed a strategy modeled in large part on the campaign in the Philippines that combined “white” and “black” propaganda, economic development aid, and U.S.-trained and financed counterinsurgency operations to manage these problems in a manner that was “responsible” from the point of view of the industrialized world.